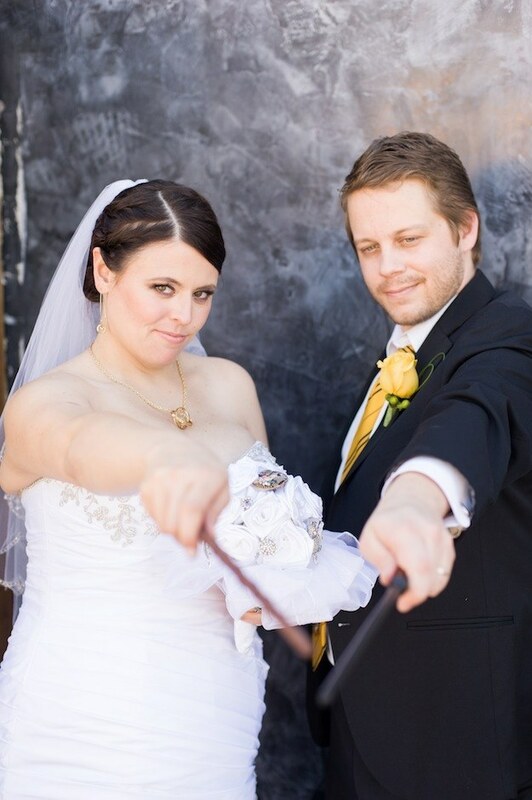 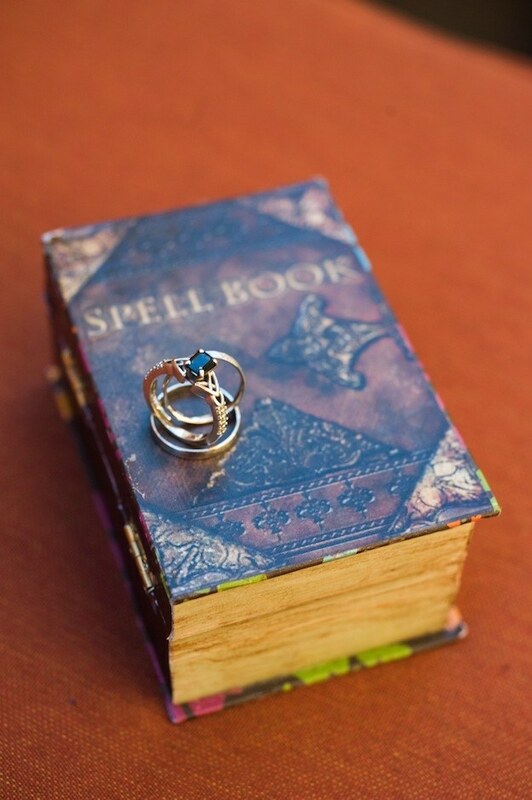 Meredith Fahey and her husband Joshua Votaw always knew they wanted a book-themed wedding. 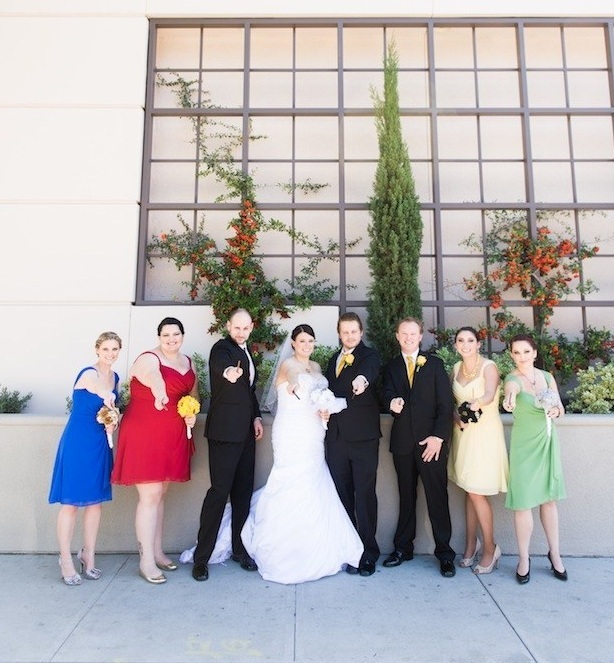 So when their first-choice venue — a library — fell through, they opted to host their wedding day at their favorite restaurant in Los Angeles. 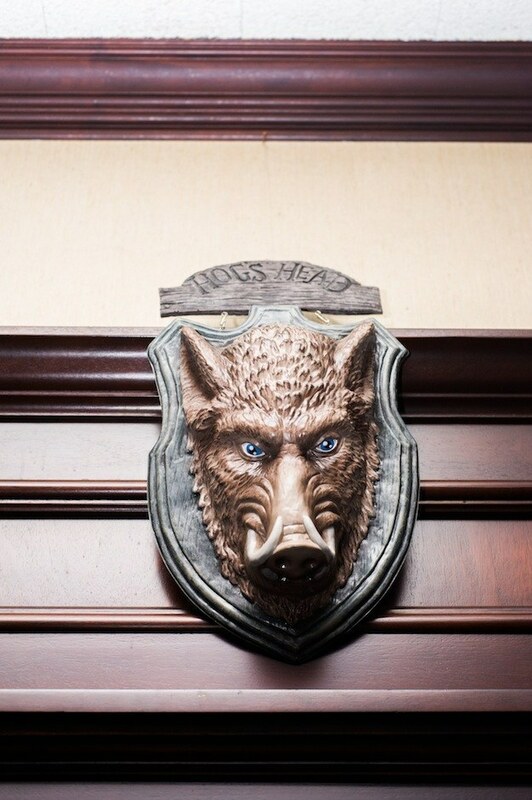 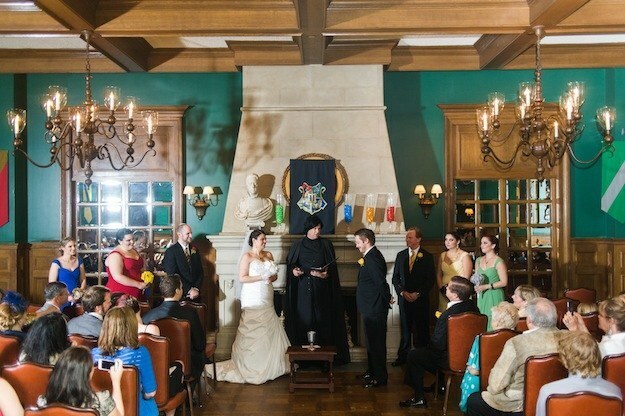 It happens to be reminiscent of Hogwarts, not to mention it’s within their budget. 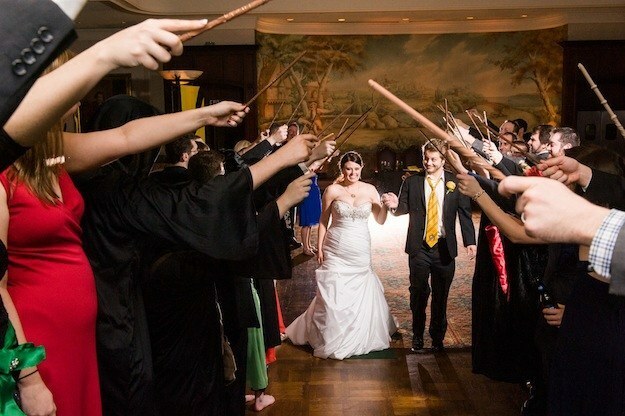 “We are both huge Harry Potter fans. 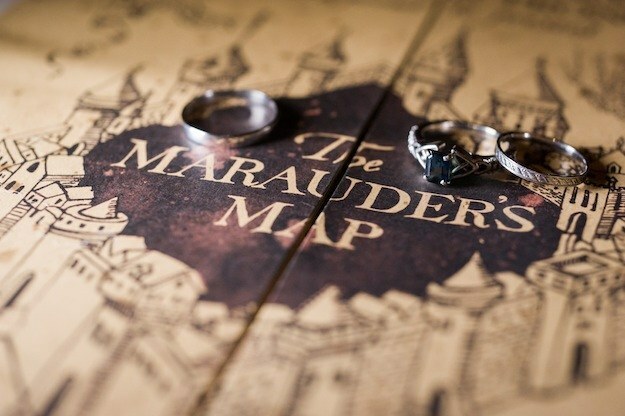 We have enjoyed many midnight screenings of the movies together, as well as reading them out loud to each other, one of our favorite activities,” Meredith told BuzzFeed. 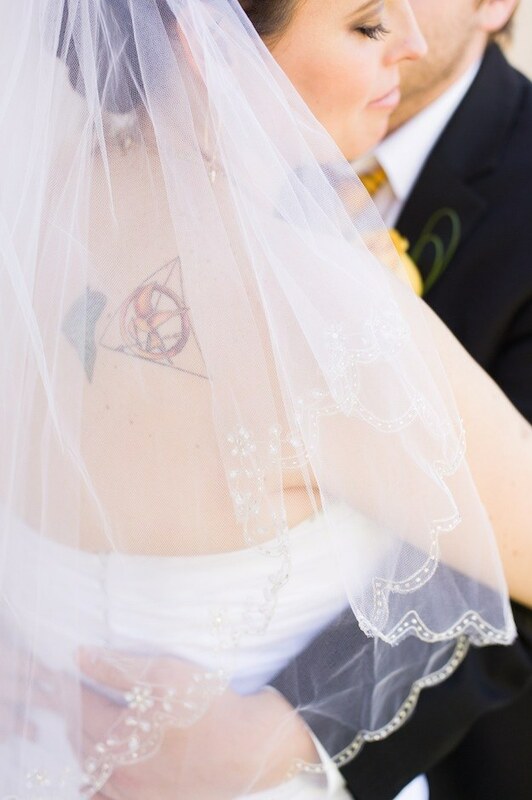 The bride even has a Deathly Hallows tattoo on her shoulder. 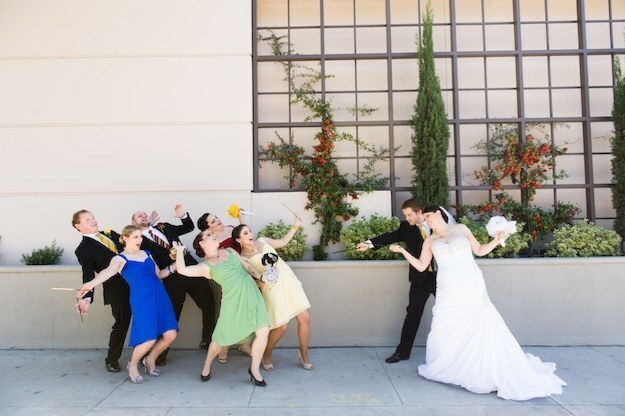 The couple met several years ago through a dating website, and one of their first conversations was about Lost. 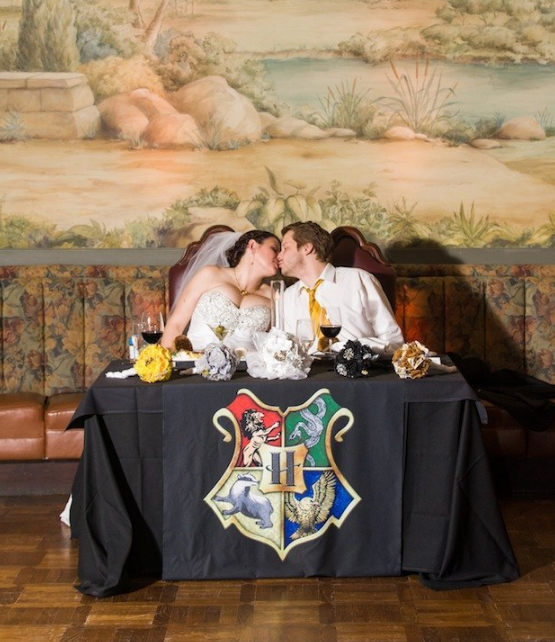 Meredith and Joshua spent hours and hours discussing how they wanted every detail to be laid out and what parts of the Harry Potter series they wanted to incorporate. 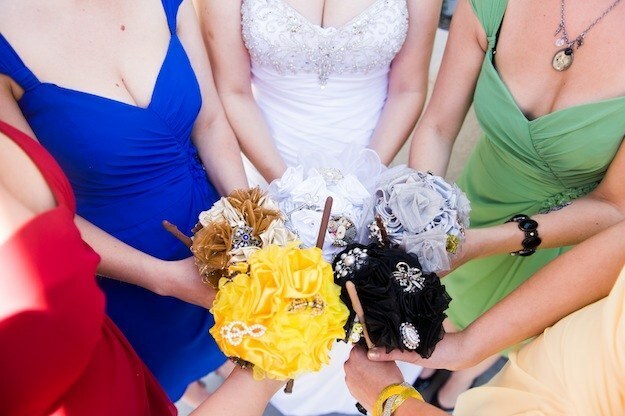 They had help creating the bouquets. 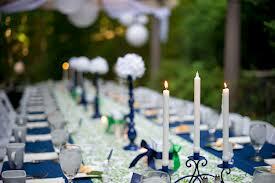 Family and friends also helped with the programs, banners, and other accessories. 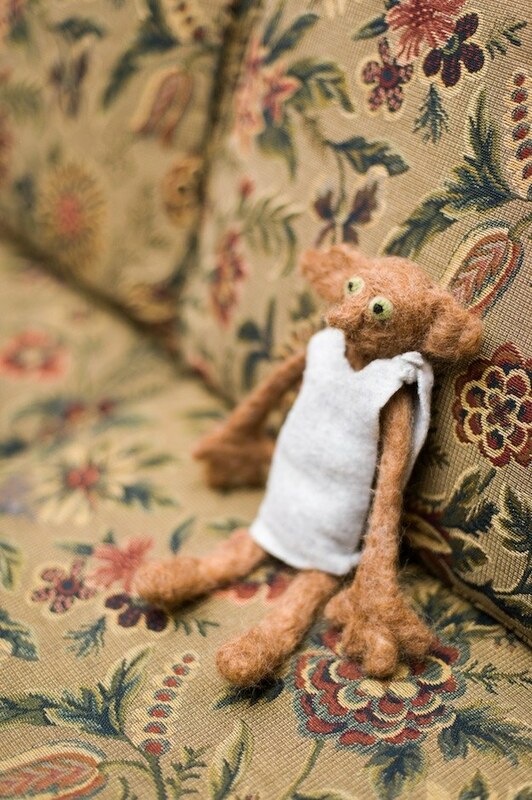 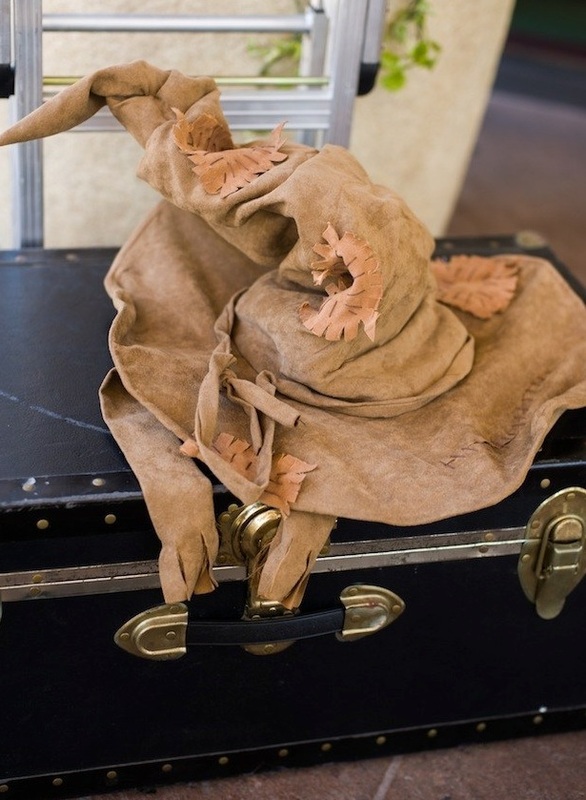 The bride said she even did a great deal herself, including needle-felting characters like Dobby and Norbert. 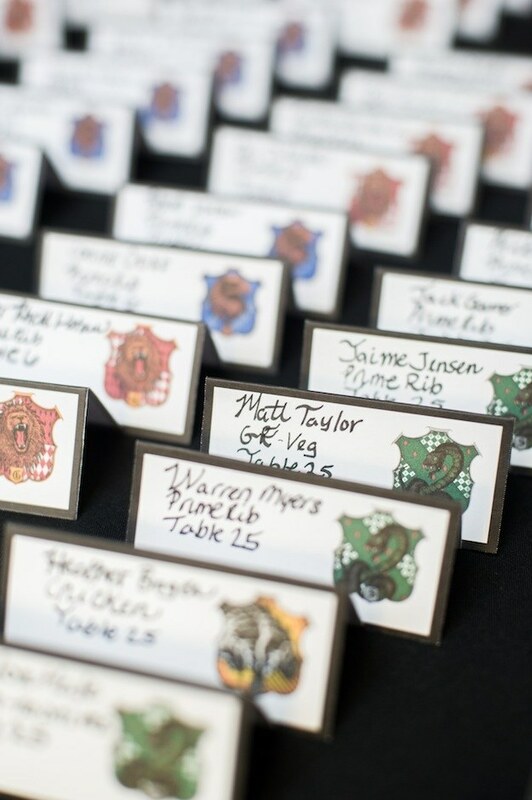 She also did the calligraphy on the place cards. 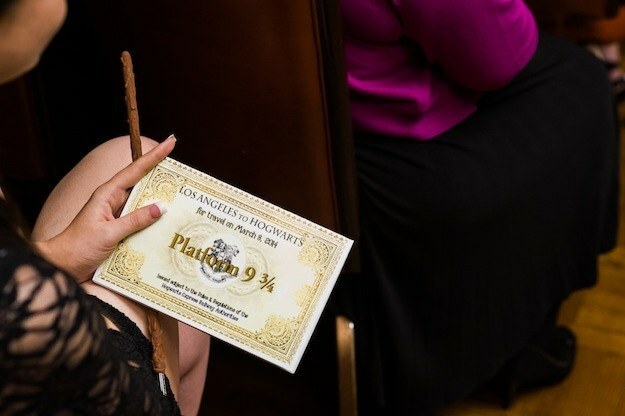 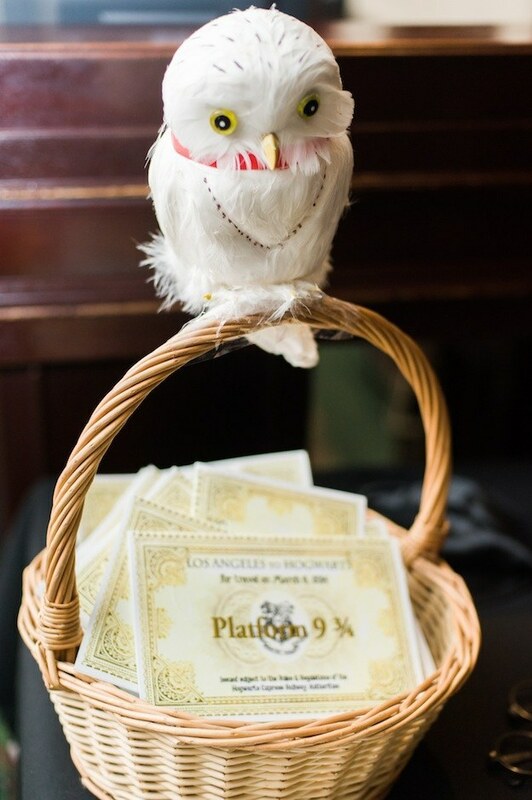 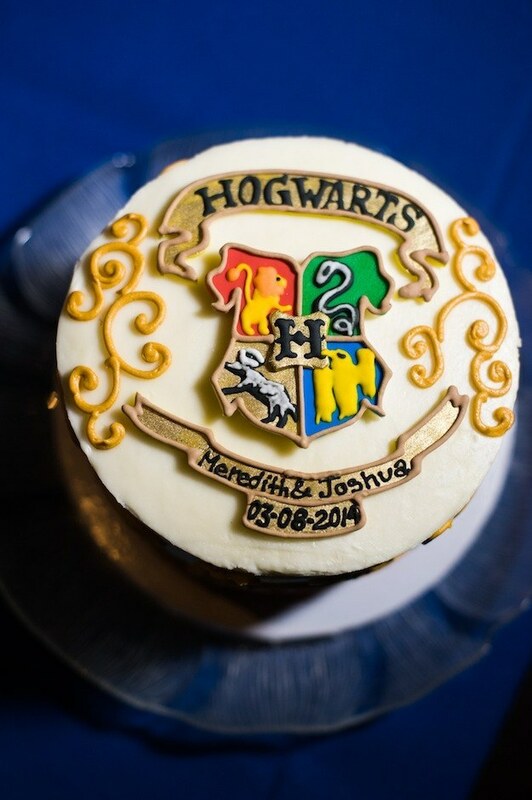 All of the elaborate-looking details in this Harry Potter-themed wedding actually cost the bride and groom the least amount of money. 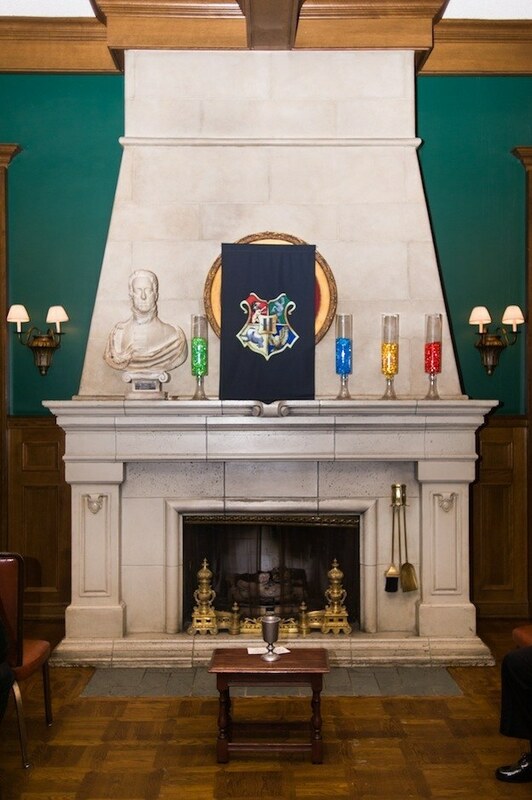 “We reckon we could probably have an entire Harry Potter room at our apartment if we wanted,” said Meredith. 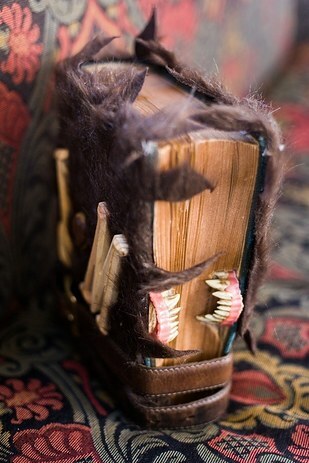 One of Meredith’s favorite minor wedding details was the “Monster Book of Monsters Guestbook,” which her cousins surprised her with. 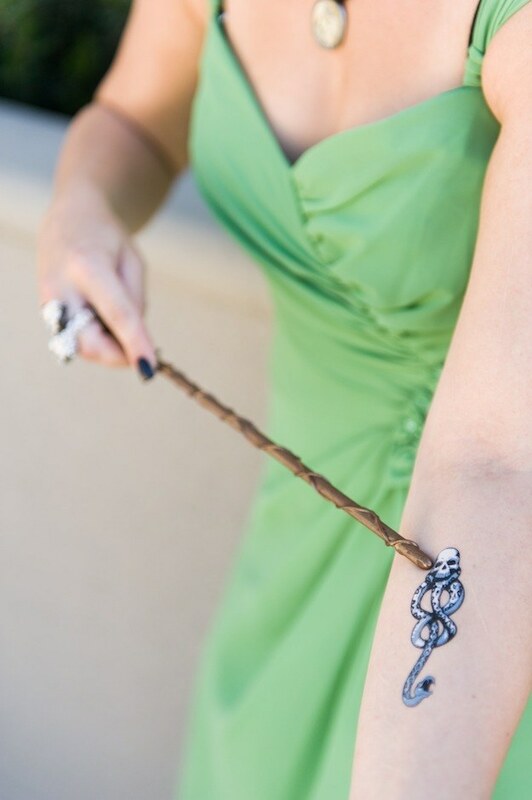 She also liked the S.P.E.W. 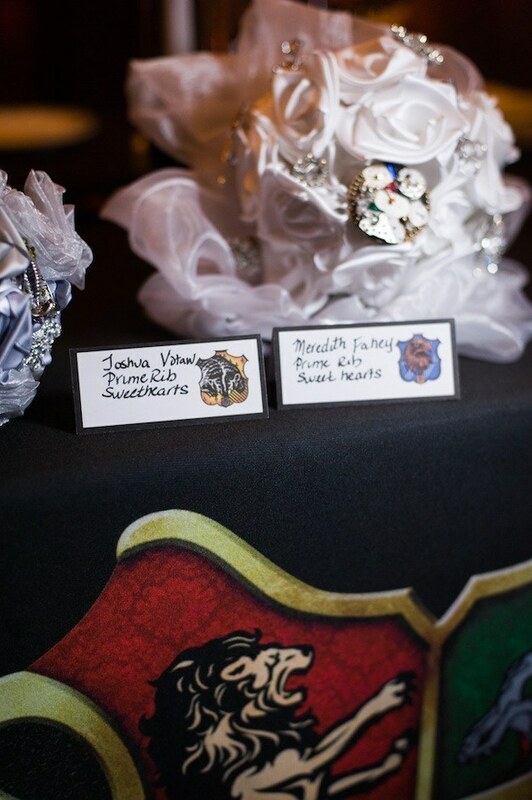 badges that her sister made for the waitstaff, who apparently got a kick out of wearing them. 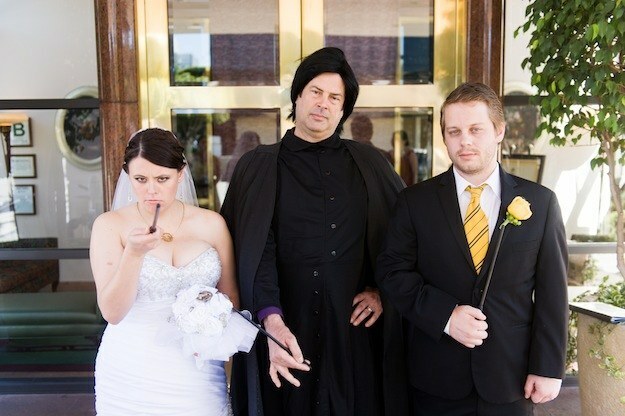 Having a Snape character officiate was Meredith’s favorite major detail. 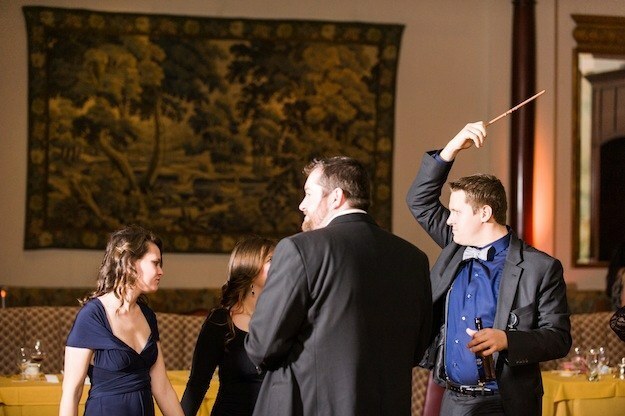 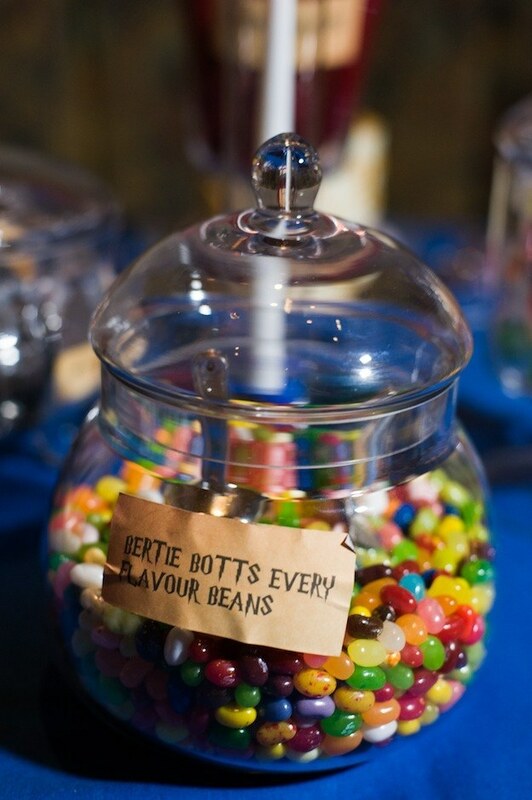 Aside from a couple of confused older relatives, all of the guests loved the Harry Potter theme. 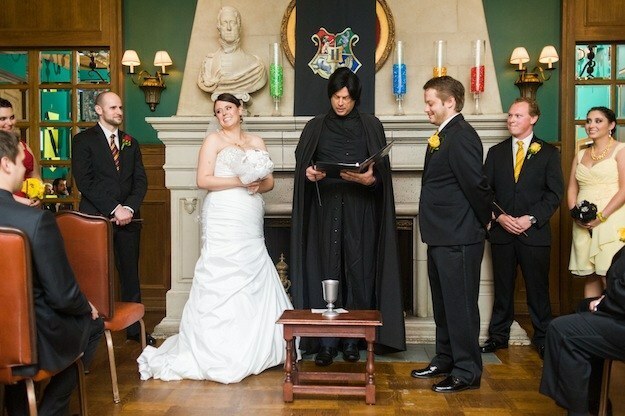 The most important detail from their Harry Potter wedding was the series’ overarching emphasis on love. 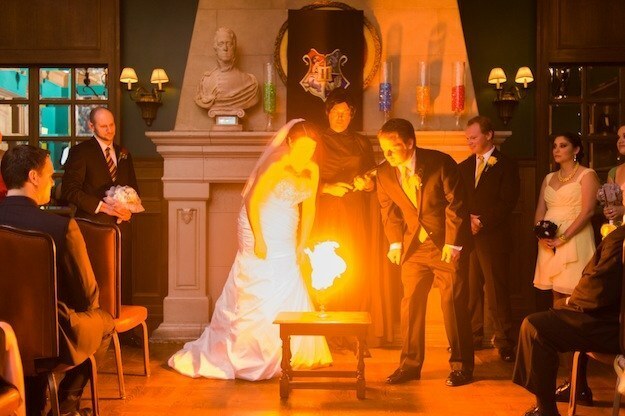 “After losing my grandmother two weeks before the wedding, and my uncle six months prior, we really wanted our friends and family to make the wedding the most loving and lighthearted of events,” Meredith said. 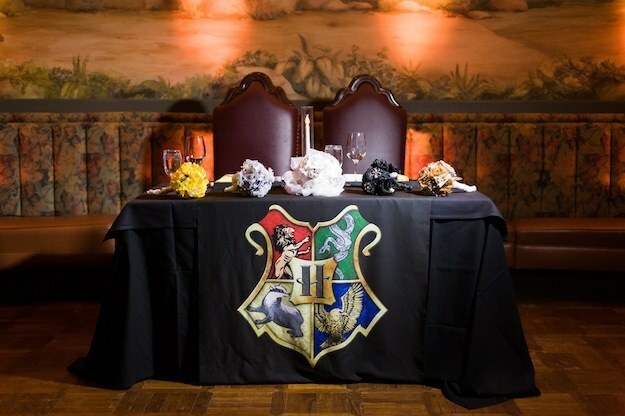 And an elaborate theme it was. 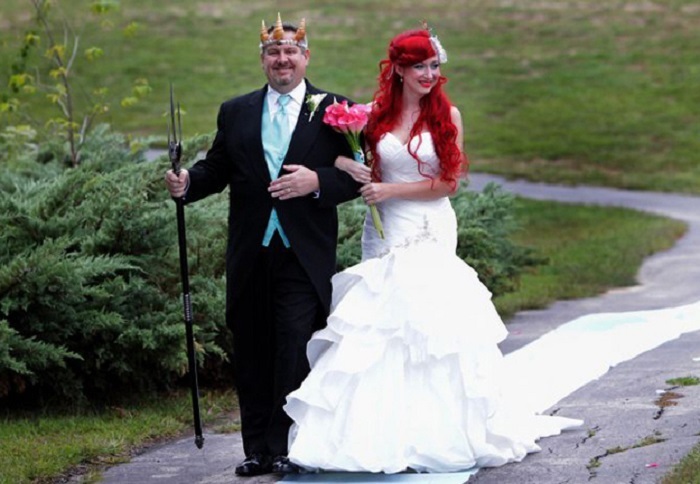 All photos are courtesy of Meredith’s wedding photographer Candice Benjamin. 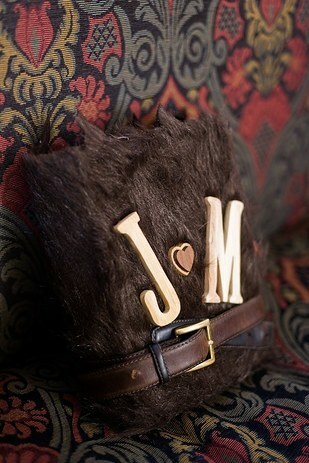 You can check out more of her work on her website.